It was a looooong flight from Los Angeles to Bangkok, so we decided to break it up with 3 days in Taipei, Taiwan. One day we took a city tour that included a few minutes at the National Palace Museum. The next day we went back to spend the entire day at the museum. The following pages are from that day. 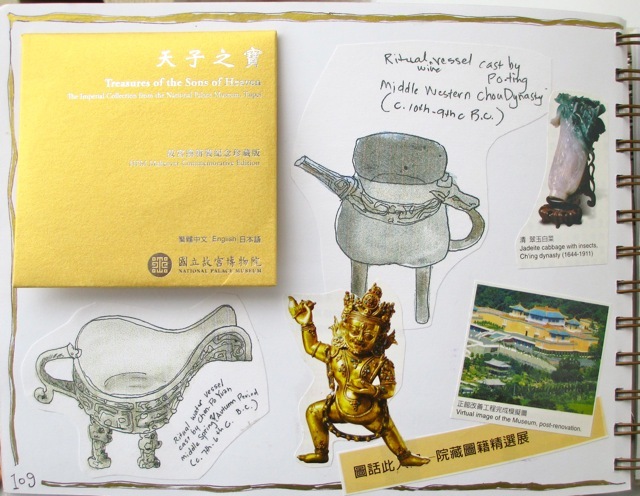 TAIPEI'S NATIONAL PALACE MUSEUM has the world's largest collection of oriental art treasures, spanning over five millennia of history. 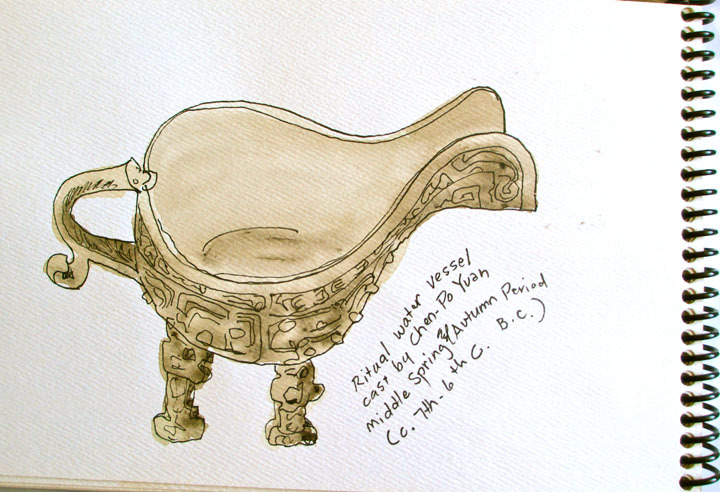 Many of the pieces were hand-carried out of China by people when the communists took over. 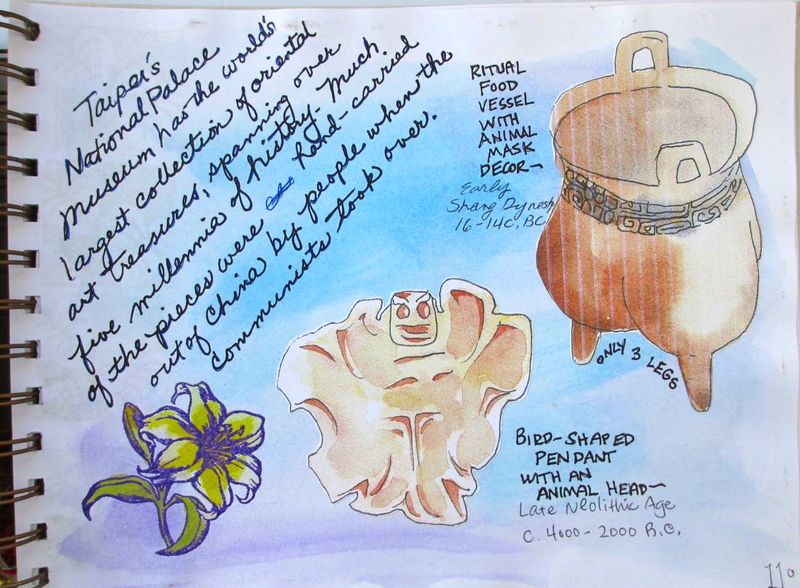 From jade seals to ritual vessels to carved jewelry, I never ran out of items to sketch. These ritual food vessels with animal motifs are from the early Shang Dynasty. In Chinese culture, bamboo has come to symbolize the model for self-relance and moral uprighteousness. 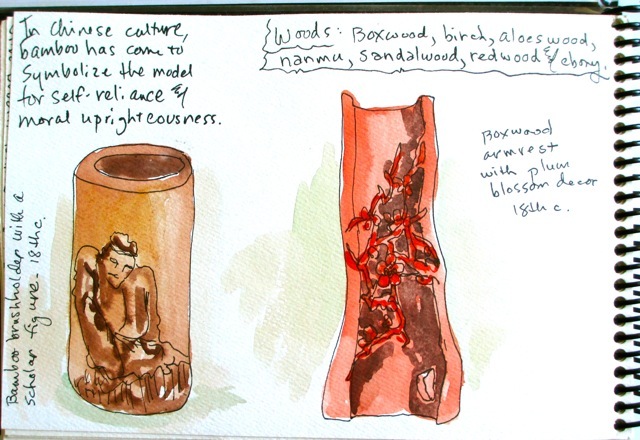 Other common woods are boxwood, birch, aloeswood, nanmu, sandalwood, redwood and ebony. 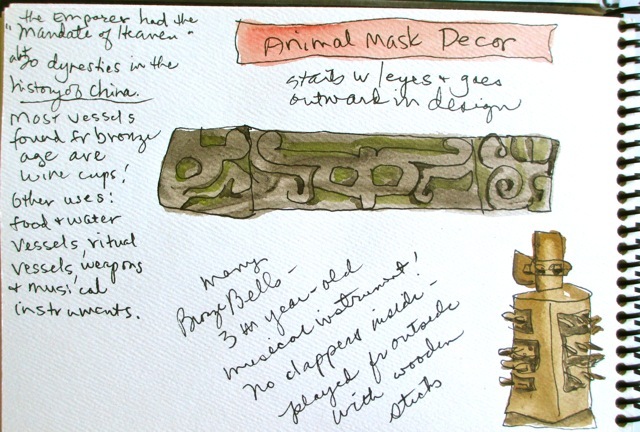 Animal mask decor begins with the eyes and the design extends outward. 3,000-year-old bronze bells were musical instruments with no clappers; they were played from the outside with wooden sticks. 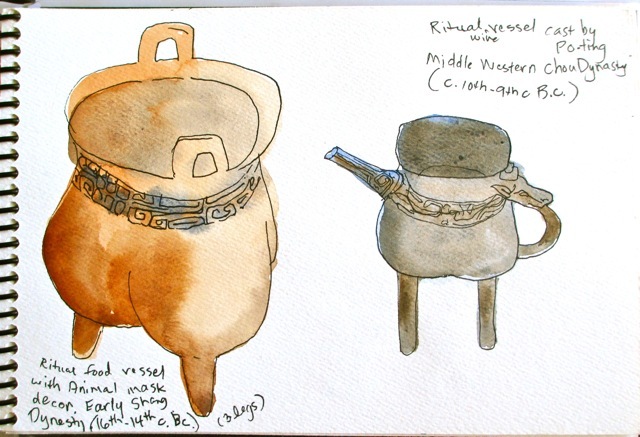 This ritual water vessel dates from the 7th or 6th century B.C. 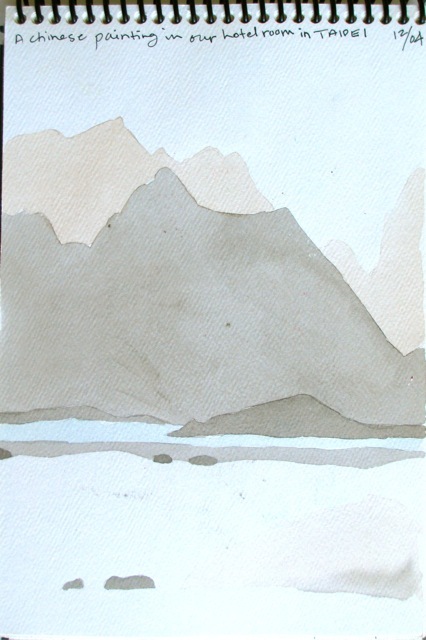 I loved this serene watercolor painting in our Taipei hotel room. 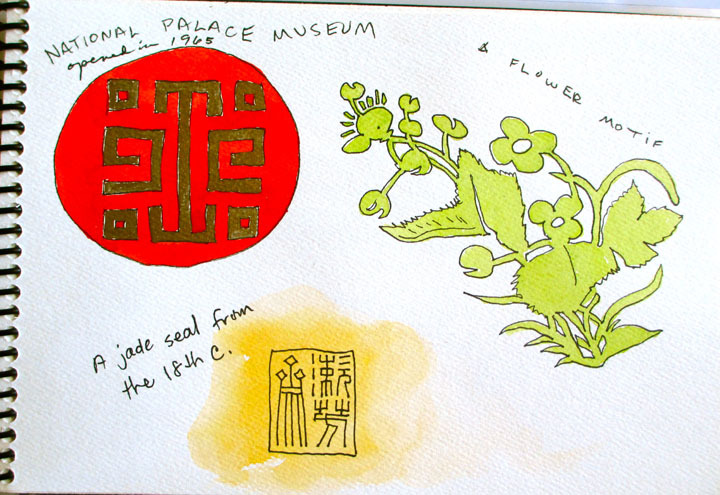 Since I couldn't take it home, I could only copy it in my own watercolor style, in my travel art journal. 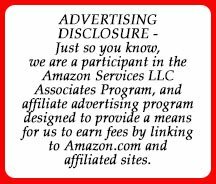 They gave us a tiny little DVD (yellow envelope, upper lefthand corner of this page) of the museum that doesn't play on anything I have!